Distance learning can offer a valuable route into archaeological study for those who are unable, or just don’t want to, commit to a traditional academic course. Whether you wish to gains recognised qualifications or just learn more about a topic that interests you, distance learning can be ideal. Here two experts in distance learning and archaeology; Roger White, the Academic Director of The Ironbridge Institute, and Caroline Wickham-Jones from the University of Aberdeen, give us an overview of studying archaeology at a distance! For many, the words ‘distance learning’ automatically conjure up a world of geeks staring fixedly at computer screens all day. However, for those of us delivering teaching in this way, it is a much broader church than just computers, software and the internet. More and more of us have complex lives that do not allow us to miss work to go to lectures, or find the time and opportunity to physically attend courses. Distance Learning offers an alternative, since it is a way of delivering teaching, at many levels, to those who cannot attend to study during the normal teaching period. At Ironbridge Institute, the long-established postgraduate centre operated jointly by the University of Birmingham and the Ironbridge Gorge Museum Trust, we run two successful versions of Distance Learning programmes. The earliest of these conforms to the conventional model in being Web-delivered. Students who register retrieve their learning materials from a ‘Virtual Learning Environment’ and participate in on-line discussions. The content of the course derives from the original Heritage Management degree that is still taught in conventional format at Ironbridge Institute. 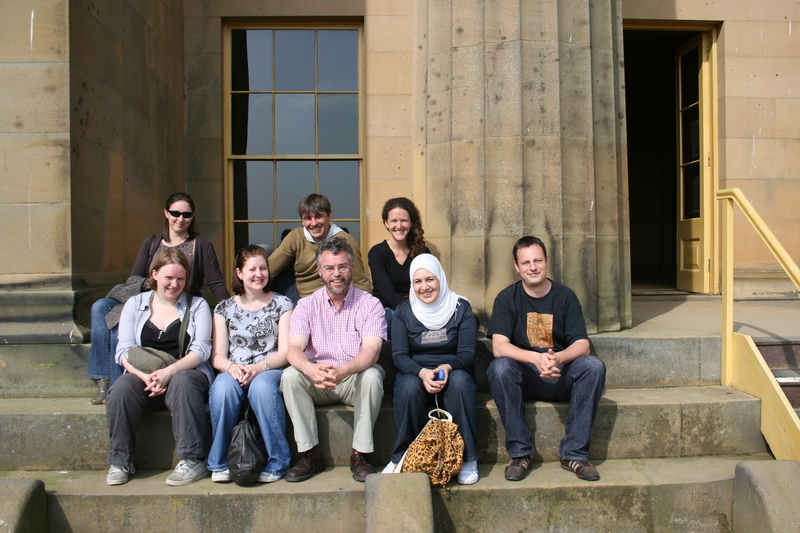 The other course, Historic Environment Conservation, has adopted a completely different model. Here, the teaching is aimed at professionals in post, who need to upgrade their skills or earn a qualification relevant to their profession. However, as a course delivering practical skills, a full on-line approach could not work. Accordingly, teaching is done in weekend modules, one a month, on a Friday and Saturday. These workshops are intensive, but allow students to explore the conservation theory and practice of, say, stone masonry or timber-framing – as well as allowing them the opportunity to ‘have a go’ at it themselves. Of course, we cannot pretend that we are turning out professional stone masons or timber framers overnight, but we are allowing our students, who are often employed in the sector, an opportunity to understand why traditional approaches need to be specified and what that actually means in practice. Why choose Distance Learning? What does it offer that a conventional course doesn’t? Basically what DL offers is the opportunity to learn without risk. If you wanted to take a conventional degree, you need to take into account both the cost of the course and of living and loss of wages, since you can’t easily earn while you learn. This might mean giving up your job or other sacrifices to take on a career move, or develop a skill without losing the security that you might already have in a post. Alternatively, if your job is raising a family or caring for someone at home, Distance Learning could be a real life-saver in keeping you mentally active and engaged in the outside world. For those already working in the sector, Distance Learning can also be a boon, fulfilling the requirements of Professional Career training (CPD) without having to leave employment. It will never be to everyone’s taste, since some will always choose to benefit from conventional study, as opposed to the inevitably less structured approach offered by Distance Learning. Equally, others will always benefit from the fact that Distance Learning can be undertaken at ones own pace, allowing those who need it more time. Personally, my belief is that Distance Learning will continue to offer an ideal medium to learn, for many whom would not otherwise have the opportunity. 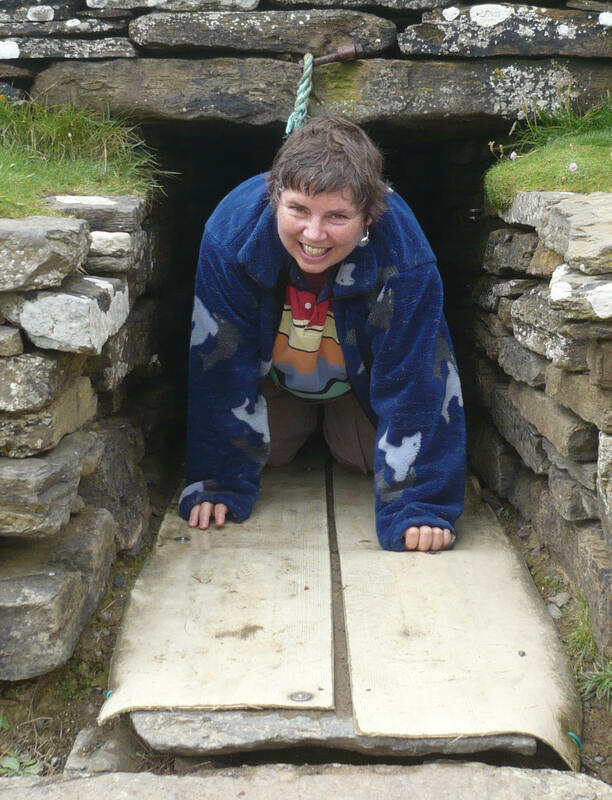 I am a lecturer in a standard Department of Archaeology, at the University of Aberdeen. My students are mostly a bit older than the standard age for University undergraduates. They do not all live within commuting distance of the University; many live in remote parts of Highland Scotland and some on distant islands. We gather by video-conference. Most are accumulating credits towards a qualification, though some study archaeology just for fun. They have access to ‘conventional’ student courses, just as the younger students have access to my courses, and of course those courses taught by my colleagues. My students come from all works of life, and keep me on my toes regarding issues like Health and Safety on site (my builder student), Access (the lawyer) and Interpretation (everyone). Classes are lively. A few of the students access the sessions just from the web; for example, at the moment there is one in Stavanger and one in Paris. I know I am not alone. We may be a dying breed (and I do not wish to negate the important role of the independent sector), but I do want to point out that some universities do still cater for the older student and for those who cannot take time off to attend conventional classes. Of course, this is all facilitated by modern communication. Wherever you live, if you want to study archaeology, there is no excuse for not trying! Hello there. I am looking at changing careers from being a chef to archaeology/history/museum work, where I believe my true passion lies. I do 14/16 hour shifts, and have a mortgage, so I am some what tied to where I live, making new study a bit tricky, but not impossible, if I am that keen. No idea where to turn now – please help? Hi Nick – have a look at the distance learning courses run by the University of Aberdeen through their Centre of Lifelong Learning. I’m at home with young children so not able to get to university conventionally at the moment. I took a couple of the short online courses mentioned by Paul at Oxford, just to see if I liked it (they were brilliant) and have now started my first module with Aberdeen. Am loving it so far! Hi Nick – I am retired and do not have the funds to pursue archaeology via university. Very tight budget. I’m taking a course on Coursera, online, and am enjoying it immensely. I’m 57. Where on earth can one start, to find, basically, a no fee degree in Archaeology? Grants? Which grants? How does one apply? Any information would be very helpful. Thank you. I’m in a similar position to the other postings I think. I’m interested in some of the online archaeology courses as a personal interest first of all, but would like to obtain some sort of certificate if possible for any rare opportunities for work in the future. I’d enquired about one of the university courses but was gobsmacked by the price – would have cost almost 17,000 pounds by the time I’d done enough units to qualify for degree level…. – for a distance learning course aswell. And so I have enrolled on one of the ‘coursera’ modules for free, Roman Architecture in January. If I’m disciplined enough to complete that one then the modules run by Oxford University mentioned above seem reasonable and very interesting which also award some sort of credits at least. I’d be interested on here to see how you all get on with your studies. Thanks and good luck!